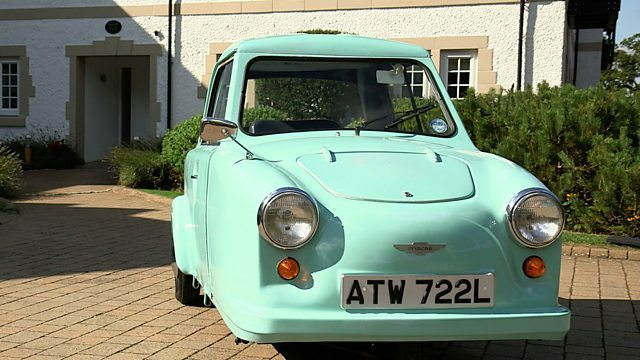 For decades disabled people in the UK were offered tiny, three-wheeled, turquoise cars as their main form of transport. They were known as Invacars. For decades disabled people in the UK were offered tiny, three-wheeled, turquoise cars as their main form of transport. They were known as Invacars and they were provided, free of charge, to people who couldn't use ordinary vehicles.They were phased out in the 1970s because they were accident-prone and people were given grants to adapt conventional cars instead. Daniel Gordon has been hearing from Colin Powell, who was issued with his first Invacar at the age of 16.